After earlier calls of a potential boycott by Icelandic artists to enter Söngvakeppnin, the reveal of Tel Aviv as the host city, as opposed to Jerusalem has signed Icelandic artists back up towards entering Eurovision 2019. Note: Songs with English titles are intended to be performed in English if selected for Iceland in Eurovision 2019. This year’s competing artists include Hera Björk who represented Iceland in 2010 with “Je ne sais quoi” and was a back-up singer for Iceland in 2008, 2009 & 2015 and Friðrik Ómar who represented Iceland in 2008 alongside Regína Ósk as Euroband sang “This is My Life” and also provided back-up for Yohanna in 2009. Both artists qualified to the Eurovision final with Friðrik placing 14th in 2008 and Hera placing 19th in 2010. 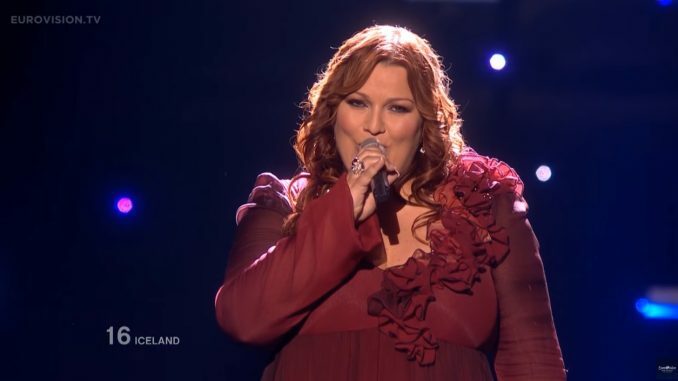 After failing to reach the final in four years, Iceland hopes to change this by selecting ten entries instead of twelve and having only two advancing through each semi-final with one potential wildcard being offered allowed a final of four to five songs maximum. The national final’s voting will be decided by 50% tele-vote to 50% jury. The potential wildcard will be decided by the jury alone after the semi-finals have been broadcast.